When you spend time relaxing at our Patio Bar, you can experience all the best features of El Meson de Pepe: Authentic Cuban cuisine, tasty Caribbean cocktails, excellent service, and picturesque views of the Mallory Square Sunset Celebration and Gulf of Mexico. We have a great outdoor space that’s large enough for entertaining groups or small enough for couples to enjoy a nice evening. Key West has a great reputation for its collection of unique bars and restaurants; but rarely can you find an establishment that combines all the features that we have to offer. 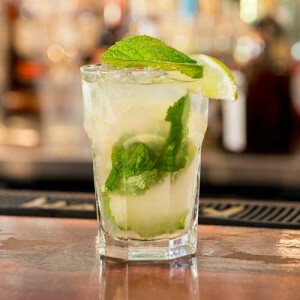 Start your night off right at the Patio Bar and enjoy a mojito with your friends. Then meet some new friends and continue the party on Duval Street! Cuban cocktail made with fresh mint and lime, a double shot of Bacardi Light Rum, bitters, simple syrup, and soda water. Souvenir Meson Mojito Glasses available inside at Abuela’s Gift Store. A Brazilian Favorite – Fresh Lime and Simple Syrup mixed with Cachaca (a distilled spirit made from sugarcane juice). Flor de Cana Rum with coconut and pineapple topped with a dark rum floater. 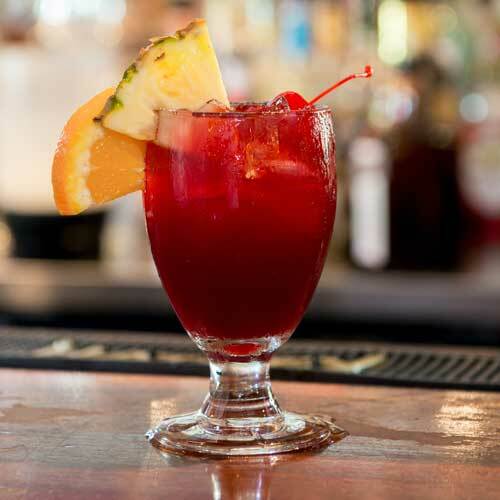 A blend of dark & light rums, Crème de Banana, Blackberry Brandy, grenadine, orange and pineapple juice. Flor de Cana Rum mixed with either Lime, Strawberry, or Mango. A frozen delight mixed with Cruzan Banana rum and Creme de Banana. Bacardi 8, Cuban Coffee, and Cream. The perfect frozen "pick me up". Bacardi and Mexican Coca-Cola (made with caned sugar) on the rocks with lime. Equal parts Jose Cuervo Gold Tequila and Grand Marnier served chilled. Tito’s Vodka, Cointreau Orange Liqueur, and Peach Schnapps mixed with orange and cranberry juice. Jose Cuervo Gold Tequila, Triple Sec, sour mix, lime and orange juice. With or without salt – Frozen or on the Rocks. Made with Don Julio Tequila and Cointreau Orange Liqueur. Made with Don Julio Tequila, Cointreau Orange Liqueur, and Grand Marnier. A refreshing Margarita Made with Don Julio Tequila, Melon Liquor, and Melon Juice. Bud Light, Coors Light, Michelob AmberBoch, Shipyard I.P.A.